This. is. how. you. tease people. Bungie has released the above image to entice the masses, and wowzers are we ever enticed! Announced at E3 via little more than an audio trailer with a planet backdrop, Halo: Reach is the next iteration of the series following the hotly-anticipated Halo 3: ODST. Now we have a limited view of the characters, and the implications of a squad setting has certain members of our staff quaking in anticipation. 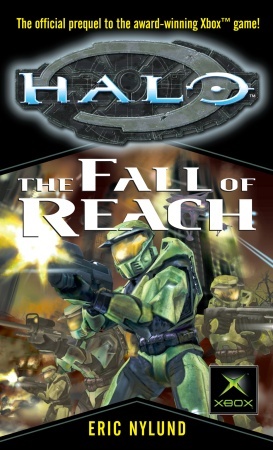 Fans of the Halo universe are likely familiar with Halo: The Fall of Reach, the first of several novels by various authors. I read the book myself; those of you who also have read it undoubtedly drew connections with the Halo 3 trailer from December 2006. 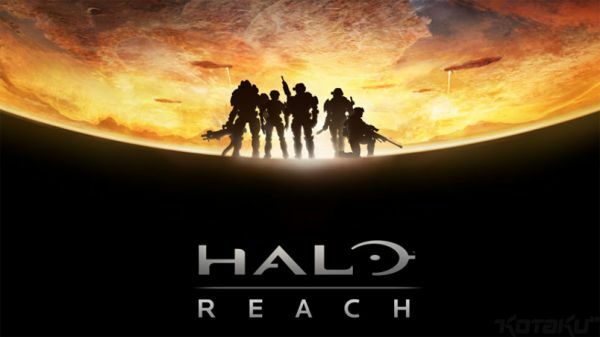 What we hadn't taken into consideration, however, is that the bulk of The Fall of Reach was written prior to the release of Halo (Combat Evolved), drawing from resources that Bungie had established during pre-production of their premiere Xbox game. By the time we see the release of Halo: Reach, we'll have seen four Halo games, two ports, and a standalone Halo 3 spin-off. Each Halo shooter utilizes similar controls, and promotes the same basic gameplay elements, with a few exceptions. Halo 3: ODST will change things up a bit, but in all honesty -- and as greatly fun as it sounds like it will be -- it's still Halo 3 title. So that leaves us to wonder: will Halo: Reach be the manifestation of many rumored Halo titles from past years? Will it be another title in the vein of tried-and-true Halo shooters? Will it be a real-time strategy game like Halo Wars? Our speculations are running wild; consider us sufficiently teased, Bungie. Given the image above, we can't help but notice the familiar weapon outlines alongside new armor permutations and what look to be distinct classes or personalities of the silhouetted Spartans. It screams "third-person co-op squad-based shooter" to me, but that's what my brain wants to see. What do your eyes see? Page created in 0.5781 seconds.